We are a shake family. I drink a shake for breakfast every morning; the kids have a shake after school to quench that limitless appetite, and periodically Sean will make a shake for himself, too. Tonight Sean and Nola joined brain like forces and created their chef-d’oeuvre. A little bit of this and a little bit of that and voila, their masterpiece! 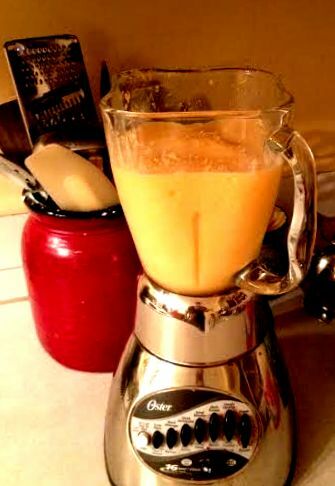 It tastes a bit like Booster Juice’s Orangesicle, mixed with a bit of Orange Julius, but it’s not, welcome the Fancy Tangerine Coconut Smoothie. Mix in a blender and share with a friend. 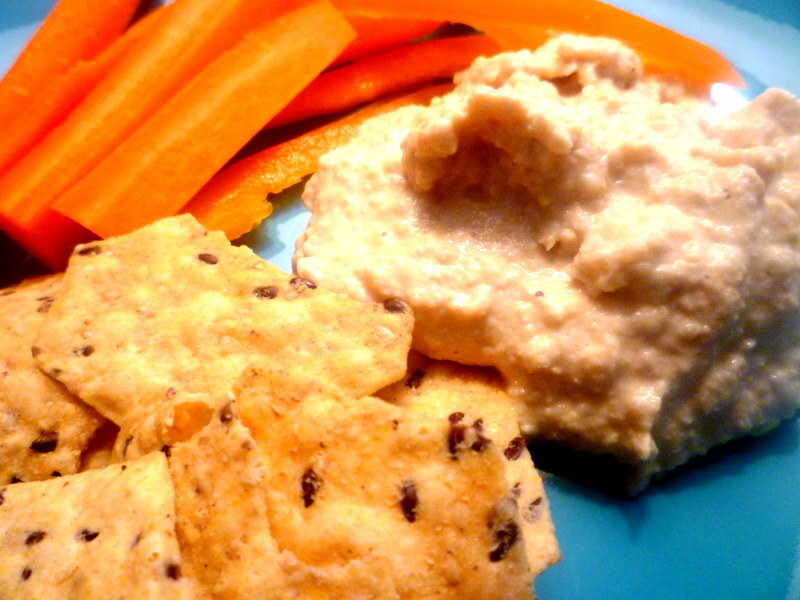 My hope for this post is to encourage moms or dads out there stuck with after school snacks. I am sure I am not the only one, but when my kids come home from all day at school, I prepare myself to be faced with whiney Caillou-like voices of mere starvation and discomfort….due to the absolute famishment, because they only had a large breakfast and lunch kit that would sustain any regular day at school that includes 2 recesses and a lunch break. However, out of mere frustration plus ambition, I decided to take advantage of the spectacular season of the pumpkin, and try out these pumpkin squares I found from Oh She Glows. How it worked? How did they turn out? How did my kids respond to a nourishing square instead of a bowl of ice-cream? Let’s just say I was able to prepare dinner in silence, because these healthy little treats served their purpose. To fill and fulfill. These make for a great time. 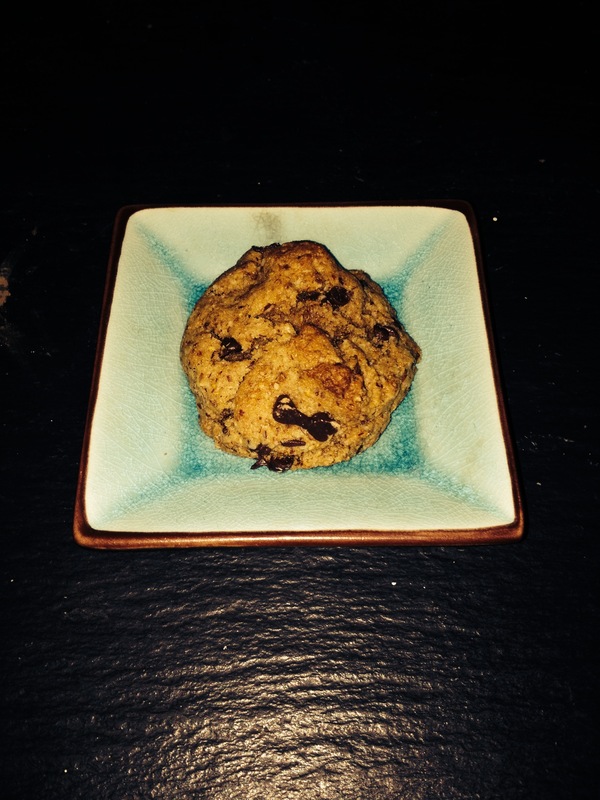 Pumpkin Oatmeal Any-time Squares, Especially After School in this House! 1. Preheat oven to 350F and line an 8-inch square pan with parchment paper. 2. 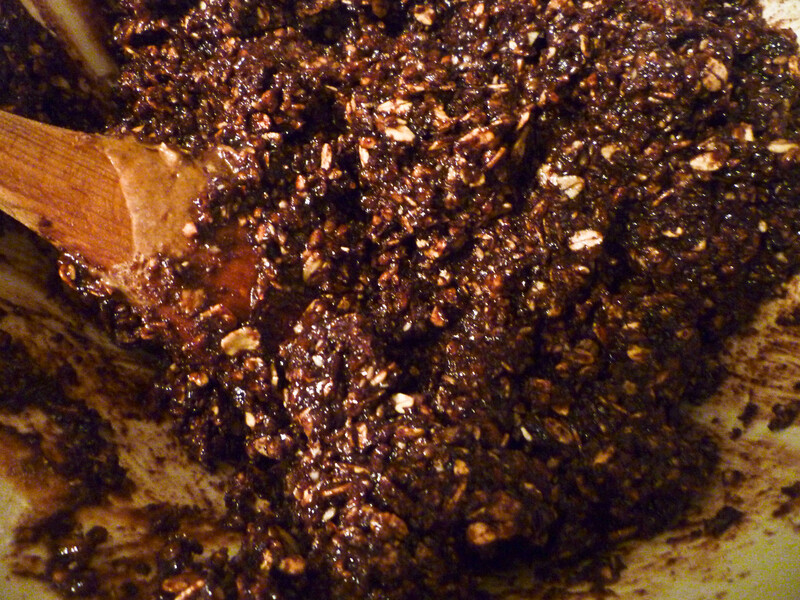 Mix flax egg in a small bowl or mug and set aside to thicken for about 5 minutes. 3. In a large mixing bowl, beat the pumpkin and sugar with electric beaters until combined. 4. 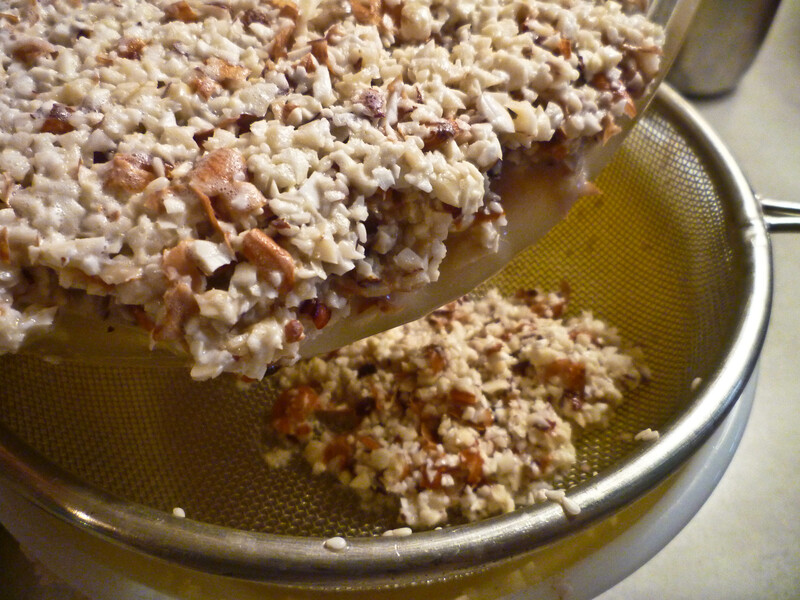 Pour in the flax egg and vanilla extract and beat until combined. 5. Add the baking soda, salt, cinnamon, ginger, and nutmeg and beat again. 6. 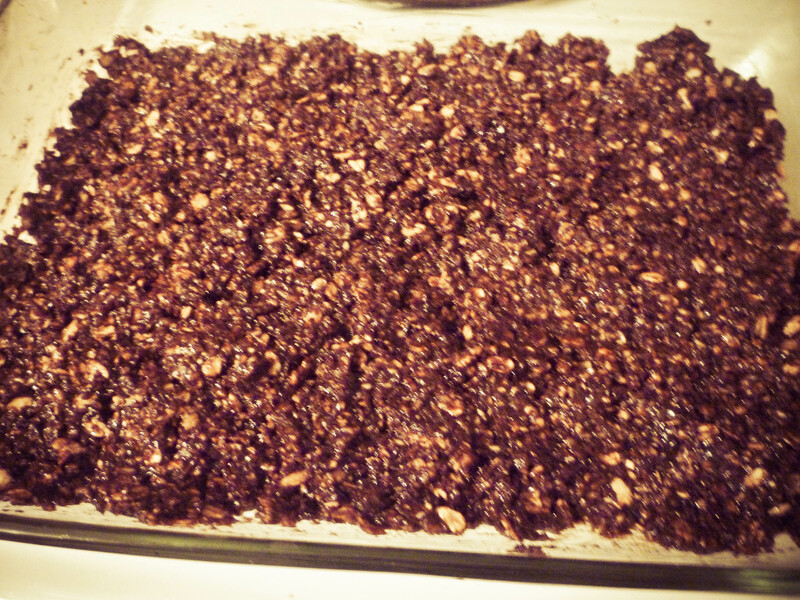 Finally add in the oat flour, rolled oats, almond flour, and pecans. Beat until combined. 7. Spoon dough into prepared pan and spread out until smooth and even. The dough will be very sticky, but this is normal. Bake for 17-20 minutes (I baked for 18 minutes), until lightly golden and firm to the touch. 8. Place pan on a cooling rack for 10 minutes. Then, lift out and place square directly on cooling rack for another 10-20 minutes, until cool. Slice and enjoy! The bars will crumble slightly if sliced warm, but they firm up nicely when cooled. 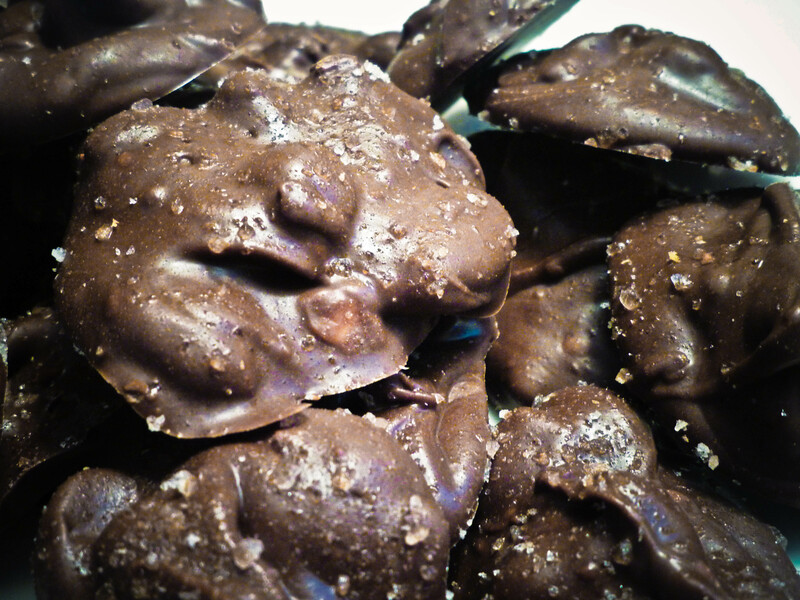 I am baking these right now as I listen to the Great Gatsby soundtrack. I have been very consistent with my 30 Day Challenge, however, today I really wanted to bake these and then freeze them. I have a pocket of time to do so. It seems as though there is never a pocket of time in which I can do much of anything these last few weeks. However, these brownies are really good and I am grateful to have stumbled across them when in a time of great confusion. I meant to post this a long time ago, but I just found it. Here is an old entry from a couple of months ago. I run, I work out, and I eat well. I have an unfortunate tendency to pride myself on healthy lifestyle. I like to read, watch, and inform. 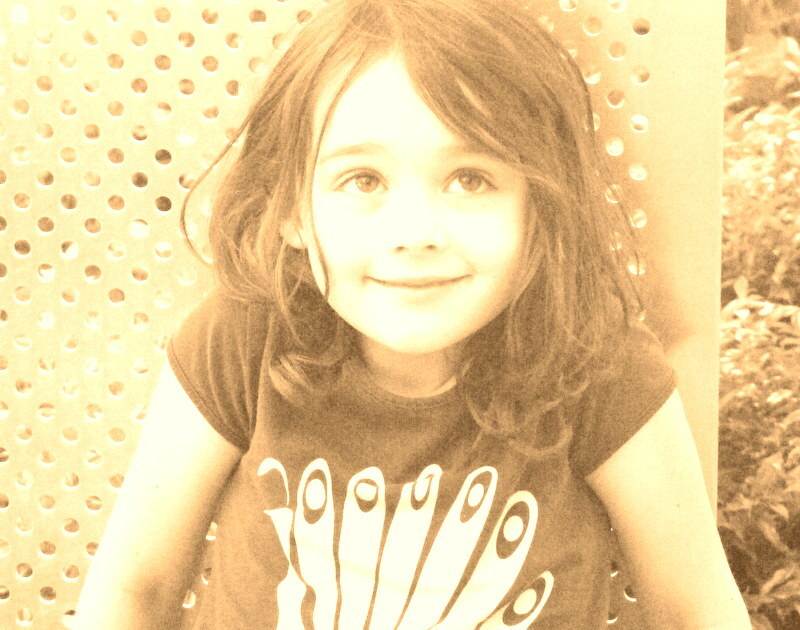 It kind of has been a passion of mine since I was quite young. I remember in first grade, our teacher read us a book about a dragon who smoked. The book had an extensive list of all the chemicals that are in cigarettes. I ran with this. Every person I knew who smoked, I felt the utmost urgency to tell them all about what they were inhaling into their lungs. They didn’t seem to care. Anyhow, it has come to no surprise to my husband, that I have been fighting a cold for the last couple of weeks. I have had Laryngitis, a sinus infection, pink eye in both my eyes, and now what seems to be strep throat. 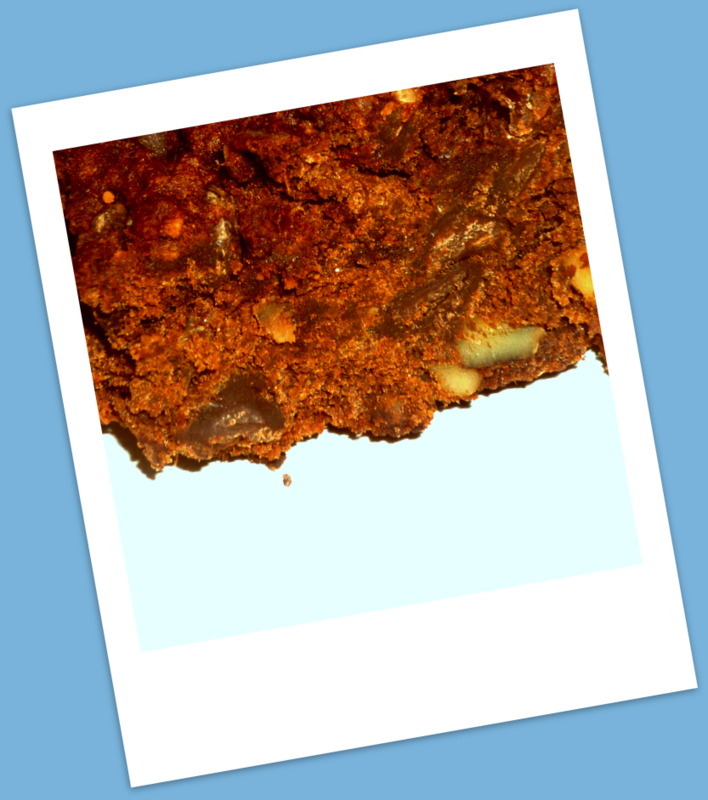 Humble pie, no, but I will take a piece of Humble Gluten Free Walnut Brownie. I made this to comfort my bruised ego and my prideful blow. Judge not lest you be judged, so here I am with sincere apology. No more Judgey McJudgerson! 1. Preheat oven to 350F and line an 8” x 8” pan with parchment paper so it overlaps on two sides. Lightly grease the parchment and sides of the pan with oil. 2. In the food processor, process the applesauce, dates, banana, maple syrup, and vanilla until almost smooth. 3. In a medium sized bowl, whisk together the teff flour, almond meal, cocoa powder, baking powder, baking soda, and salt. 4. Add wet ingredients to dry and mix until just combined. Fold in the nuts and chips. Be careful not to overmix the batter. 5. Spoon batter into prepared pan and gently smooth out with a wet spatula. Batter will be very sticky! This is normal. 6. Bake for about 25-27 mins at 350F or until a toothpick comes out clean. Let brownies cool completely for at least 1 hour before slicing as they are VERY delicate and fall apart. It is suggested to cool and then freeze the brownies until firm, so you can slice them easier without them falling apart. Keep in a sealed container for up to 3 days. Seriously, why does food have to be so good? I am finding probably the biggest challenge of this 30 day challenge is not eating after 7pm. I remember my grandmother always saying to eat after this time was a mistake. Everything my grandma has ever said, I kind of have taken to heart, even if it doesn’t make sense half the time, for it’s a sense within itself, I guess. I am not a huge night time snacker to begin with, but I just find time such a beast in the way of wanting to get all the things I want to get done in the 10 hours I have. Honestly, can it really be done?! When 3 was born, it was like the clock lost 2 hours and from that day forward, I always feel like I am running about 2 hours behind schedule. It is a chasing, answering and sharing life with little kids, planning and making meals often not appreciated, and all this with glimmer of hope that there will be at least an hour sometime in the evening to just SIT. 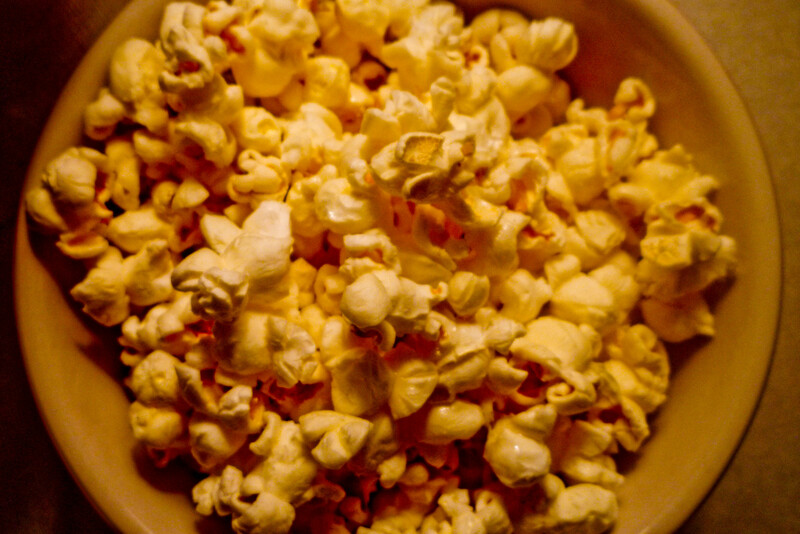 There are times when my dinner is instead a nighttime snack, my favorite being homemade popcorn. It takes me to my happy place. Popcorn, seriously? 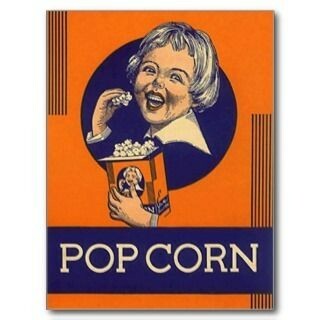 But popcorn and I go way back. Not to date myself, but I remember in high school after one of our school plays, the group and I went to go see Austin Powers in the movie theater. I remember the awkward silence after I told my friend, the one I was in the play with, that I didn’t share and I wouldn’t share my popcorn with her. Oh…high school, how I don’t miss you. Unfortunately not much has changed. I will make the children popcorn, but when they are all nestled away in their beddies, I, without hesitation, reach for my vintage yellow Pyrex bowl and make a fresh batch of popcorn just for me. Aside from all of this, I am staying focused and steadfast. Run, really I am going to. 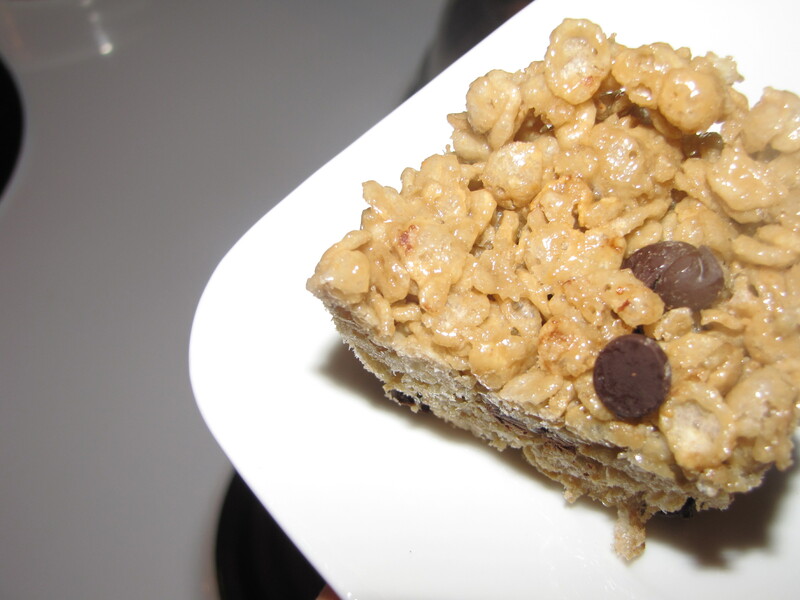 This crispy treat is, as 1 has been telling me, the greatest snickle-snack to have at school. Snickle-snack? Well, it is the little bit of food one eats in their lunch, it is kind of a snack, but not, because it is a snickle-snack, the snack before the snack? It is my daughter’s favorite part of her lunch. Does anyone else remember kids in their classes having food allergies? I don’t. I remember wanting everyone else’s lunches, because they looked exotically processed, but allergies? Maybe of bees, but not of kiwis or nuts. Many schools forbid nuts to enter the doors of their schools, understandably so. This is what makes these treats ideal. 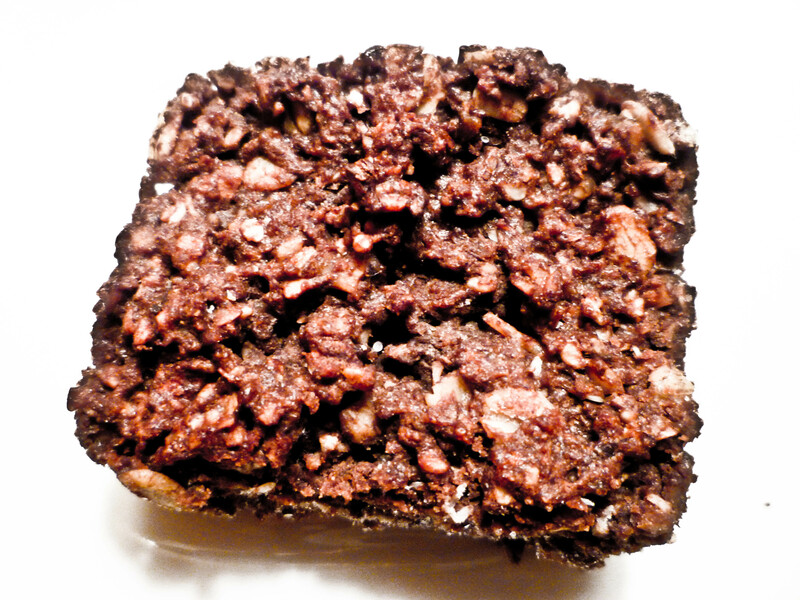 I love making these nifty little crispy treats for the kids, plus they love helping me. I tell them we add double chocolate chips and they think it’s the coolest, perhaps even most rebellious thing I do. I understand the nut allergy thing, but it can be a pain trying to find substitutes. I far more love sunflower seed butter than peanut butter, anyways, and my kids do too, so I hope this helps someone who is in need of a new idea for a nut-free snickle-snack. Pour the cereal into a large bowl. Heat the syrup with a pinch or two of salt in a saucepan over low heat. 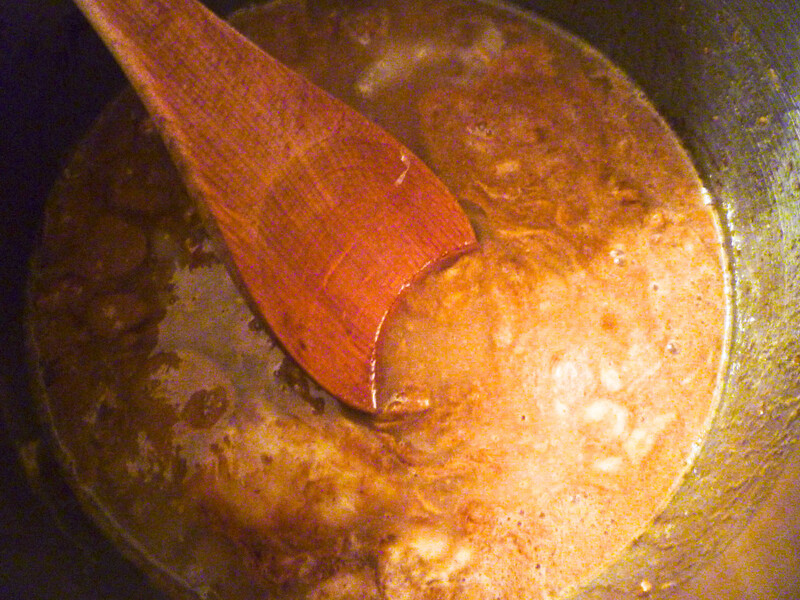 When the rice syrup liquefies, add the sunflower seed butter and stir until well combined. Pour over the rice cereal. Mix well with a wooden spoon. Once thoroughly mixed and cooled to room temperature, stir in the chocolate chips. If the mixture isn’t cooled, the chips will melt, which I guess isn’t tragic, but your call. Turn the mixture out into an 8×8 or 9×13 baking dish. Wet your spoon lightly and press the mixture evenly into the pan. Let cool for 1 hour before cutting into squares. Last week I weighed myself…I am currently 179. I have a goal to be 177 this week, we will see. I have been eating good and diligently going to spin class, the gym at 5:30am and running. It is the food I am struggling with. I just love to eat. My boost, my brain food, and my favorite go-to snack would be the coconut bites. They are my splurge and my treat. I have been eating a lot of hummus, as well. At spin class, I always aim to have the bike that is not super close to anyone, so I don’t offend them with the immense amount of garlic I consume in a day, poor Sean. He will sometimes ask, garlic? Ok, are you in need of a quick snack on the go? Perhaps you are a mom like me, or a busy guy like Sean, either way, this snack is a filler. It does take a bit of preparation, but it is a good bit of fun when you have a free night. Especially on those nice nights when the kitchen window can be open, breathing in the beautiful fresh spring air and listening your favorite beats. I love to cook and bake with Babbu Mann. He is super fun. I found this protein bar from the Slice cookbook. Like most of my snacks, I put these in the freezer and grab one when I am short on time and heading out the door. The kids love them too, but they are considered a once in a while treat, because as selfish as this may sound, they are mine! Preheat oven to 325 degrees, lightly grease a 9×12 inch dish. In a saucepan over medium heat, combine almond butter, honey, oil, tahini, and vanilla for 3 to 5 minutes, stirring frequently, until smooth. 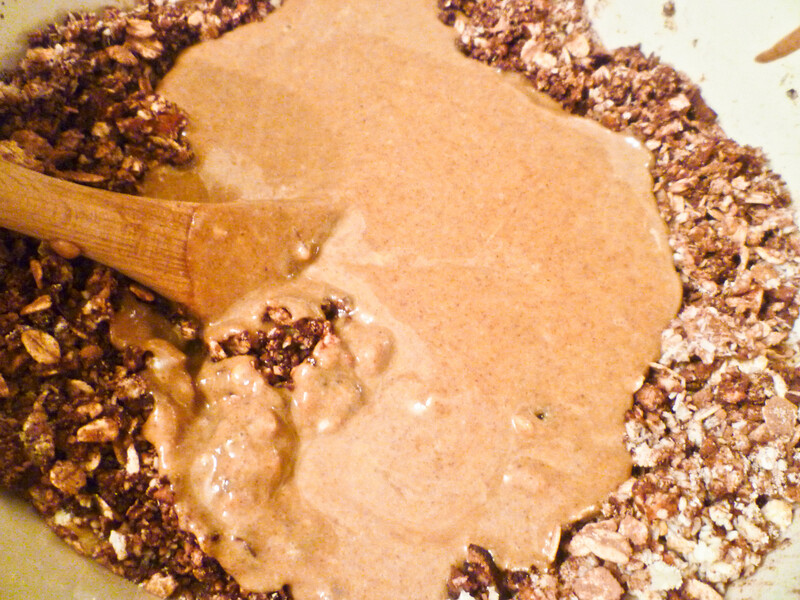 In a bowl, combine nutmeal, oats, cocoa powder, whey protein, coconut and cinnamon. Stir almond butter mixture into the dry ingredients and mix thoroughly. Press mixture into prepared baking dish and bake for 18-20 minutes. Cool and cut into bars. Store refrigerated for up to 7 days or freeze in an airtight container for up to one month. * I bake these no longer than 18 minutes, because I prefer them to be under baked than over baked. 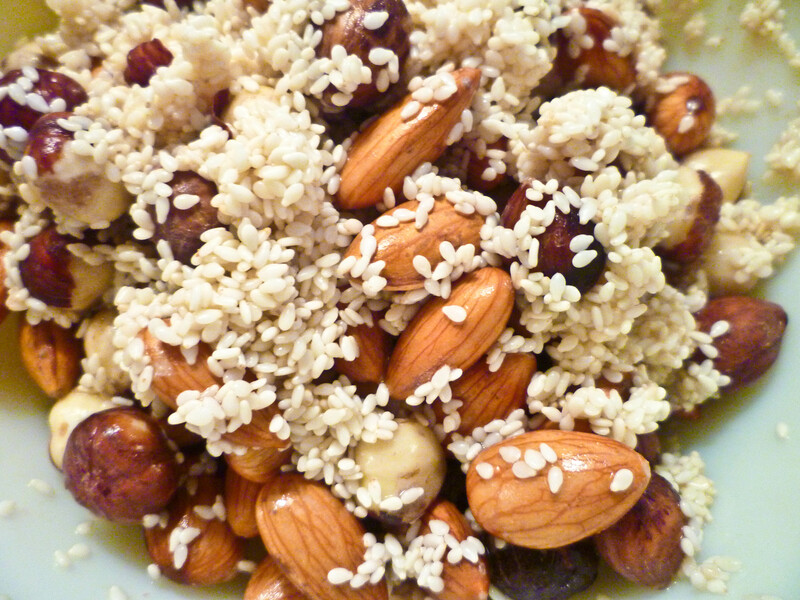 Place nuts and seeds in a glass bowl. Cover with filtered water and soak for at least 4 hours, or over night. 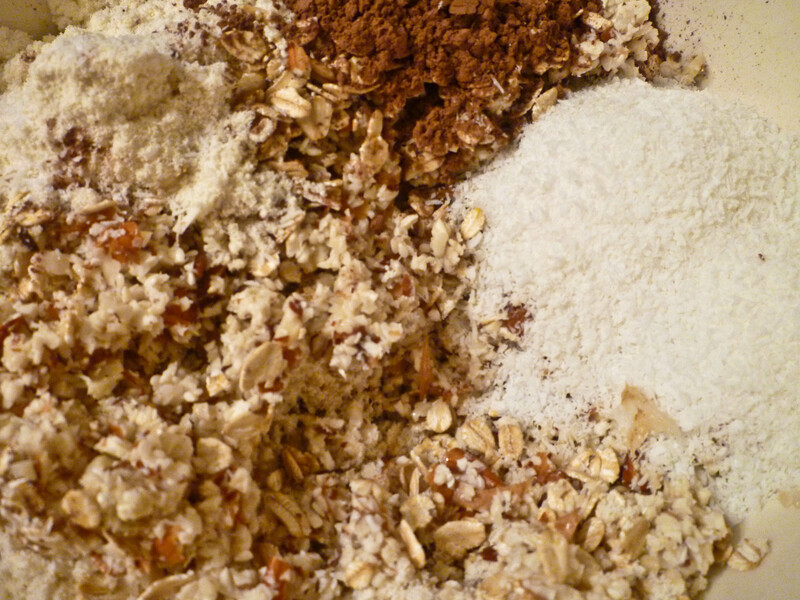 Drain and rinse nut mixture. In a blender, combine 1 cup of water, soaked nuts, dates and vanilla, and blend until smooth. Set blender to low, and slowly add 3 cups of water. 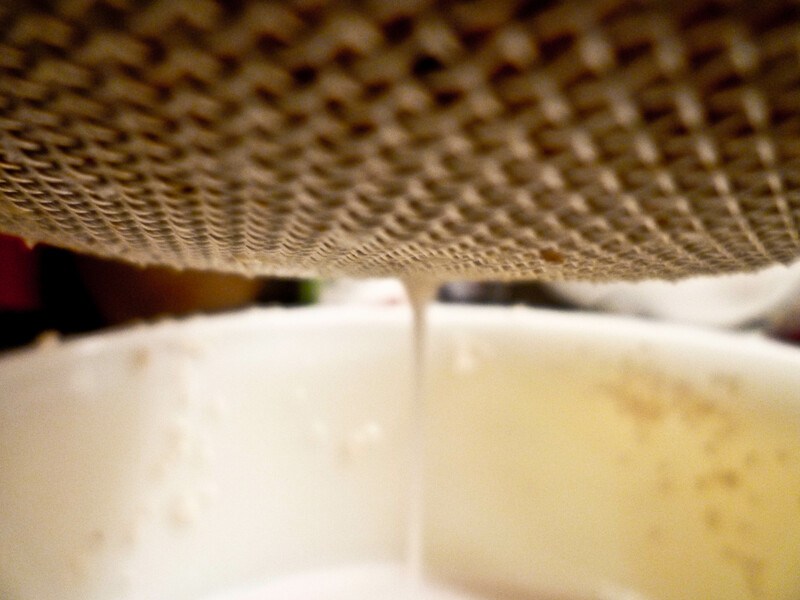 Strain mixture through a fine strainer or cheese cloth. Store in a glass jar in the fridge for up to 7 days. The remaining nutmeal can be saved and stored in the fridge for up to 5 days.